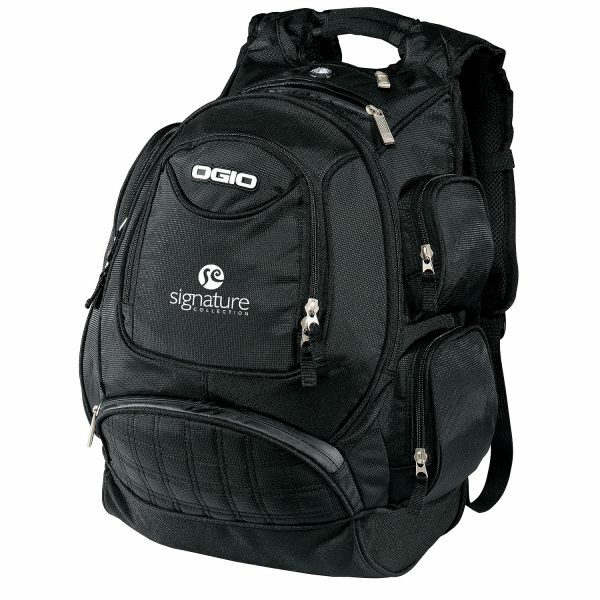 Product code: 4921 Category: Backpacks. The OGIO® Metro offers a padded side-entry laptop sleeve, dedicated accessory storage, and a fleece-lined audio pocket. Behind its distinctive quilted half-moon pocket is additional fleece-lined storage for a mouse, power cord, and other tech gear. Size Choose an option21 in. x 14 in. x 9.5 in. 21 in. x 14 in. x 9.5 in. 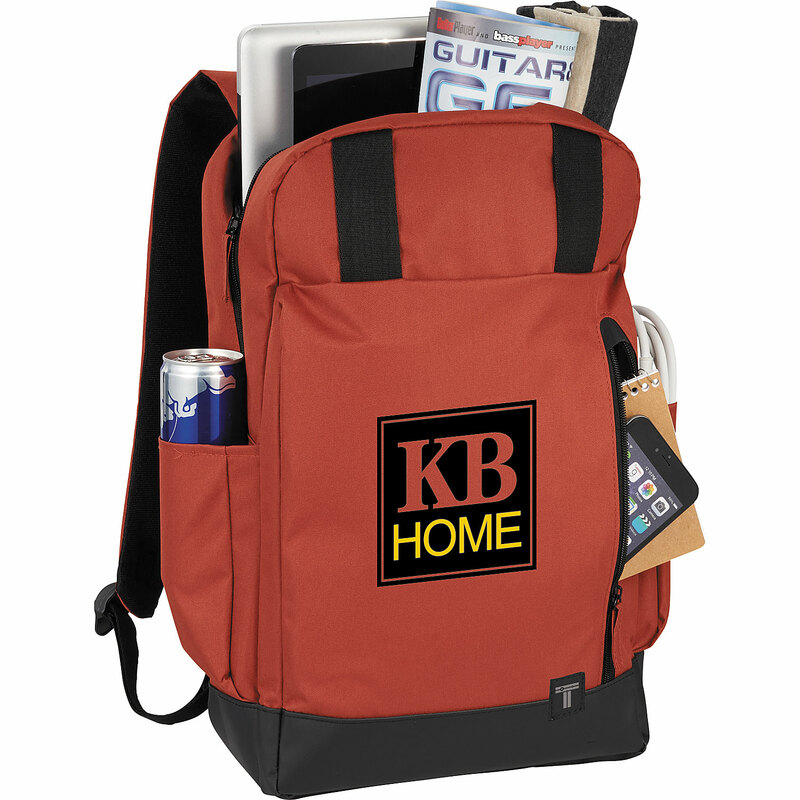 The klark backpack will stylishly keep all your belongings in one place! 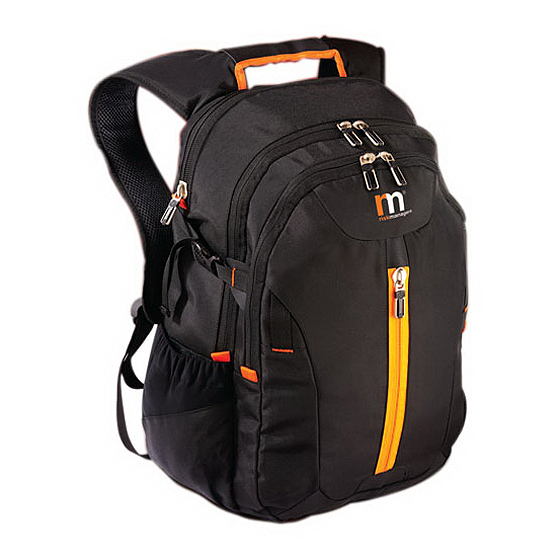 The klark is water resistant (900d x 900d) and features a top webbing handle, large main compartment capacity, concealed weather-resistant main zipper cover, padded and contoured yoke-style shoulder straps, front utility pocket with organizer and key clip, internal sleeve pocket divider, military grade zippers, quick grab shoulder strap thumb loops, elastic webbing containment loops, and Projekt rubber zipper pulls with self-repairing nylon coil zippers. Navigate through your day in style with the tranzip day pack. This pack features a tarpaulin bottom, a large zippered front pocket for quick access items and top loops to secure a light jacket or umbrella. 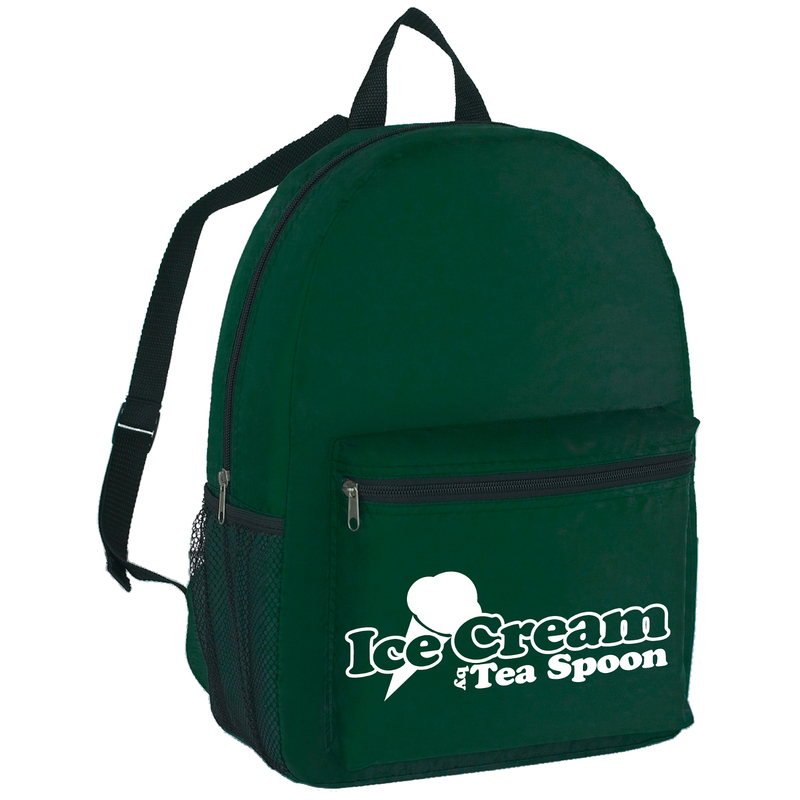 The main compartment can hold a tablet and a laptop up to 15.6 inches. 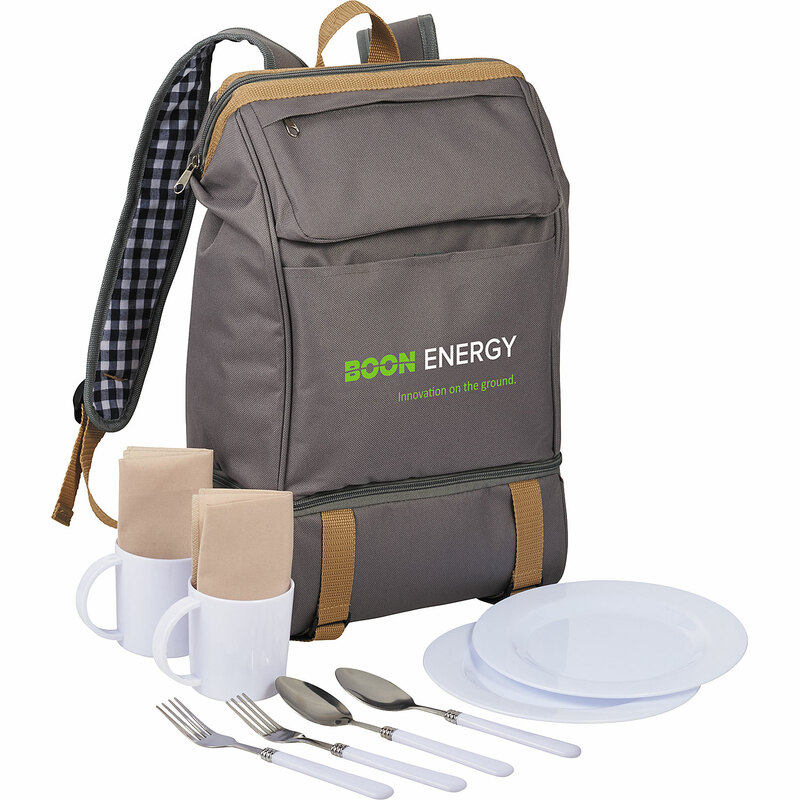 It also includes an interior mesh pocket and side water bottle pockets. 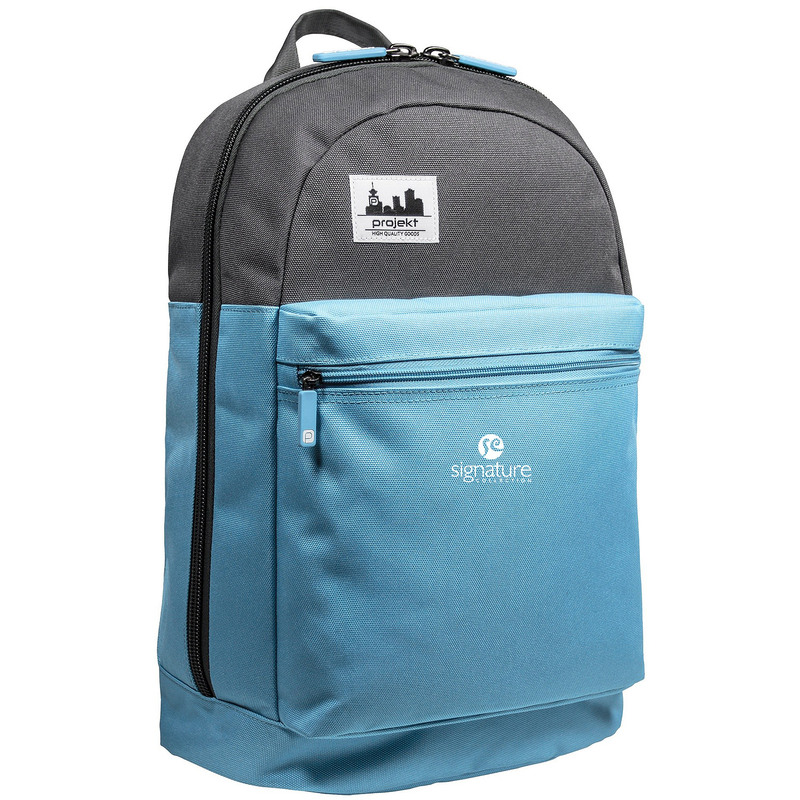 The cool texture of the 300d honeycomb ripstop polyester adds to the attraction of this backpack! 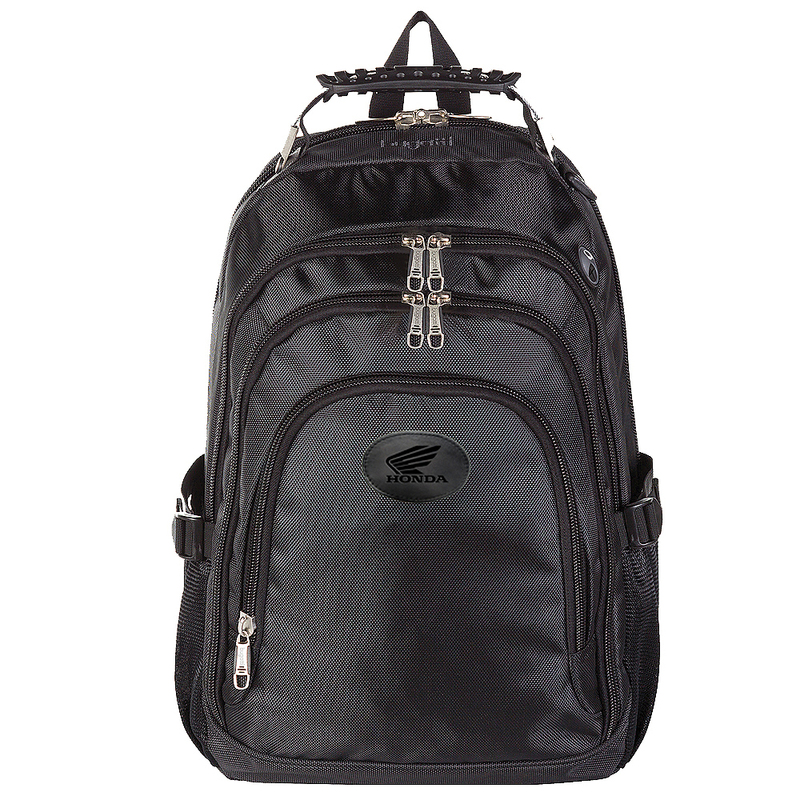 The 420d nylon bag has a padded computer compartment to fit up to a 15 inch laptop and opens flat to expedite airport security check-in, while the top zippered, scratch resistant pocket is ideal for storing a smartphone. 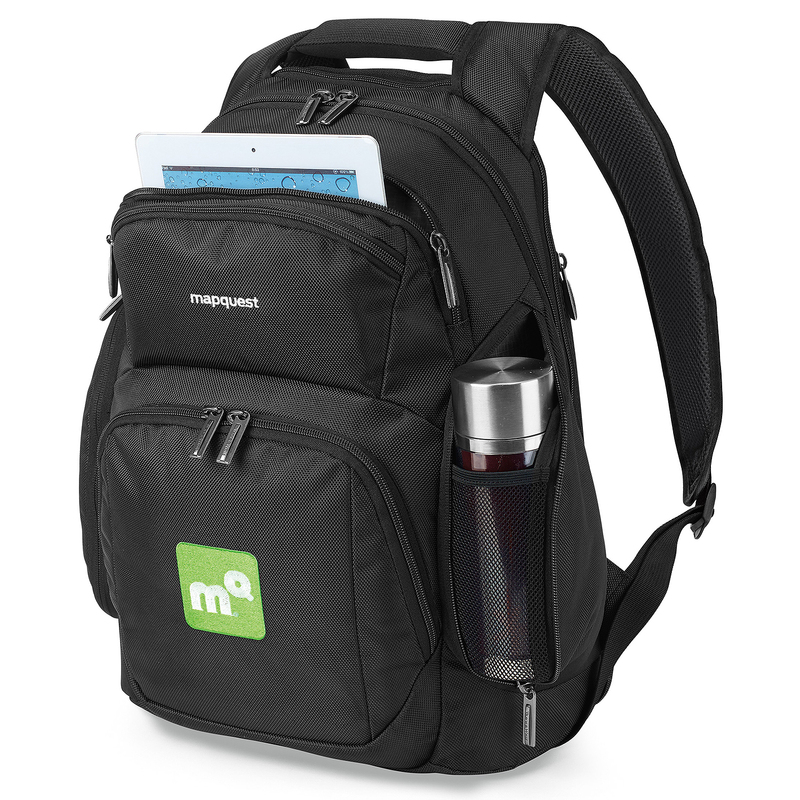 Features include a zippered main compartment with multi-function organizer and zippered storage pocket, a front zippered compartment that includes organizational pockets, tablet pocket for up to a 10 inch tablet with case, and a key clip, front zippered pocket with mesh pockets for organizing your accessories, and dual zip-out, concealed water bottle pocket. 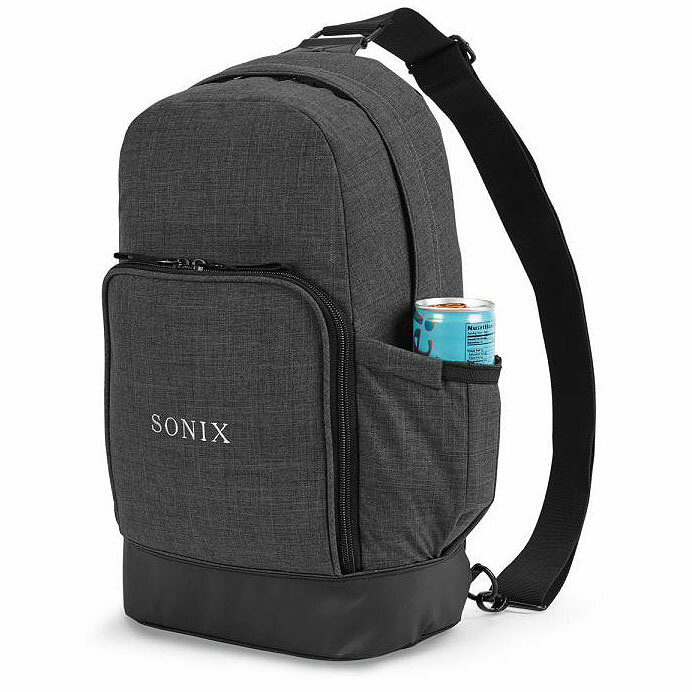 The trolley strap, padded top grab handle, and padded, adjustable shoulder straps make it a comfortable piece to carry your belongings in. 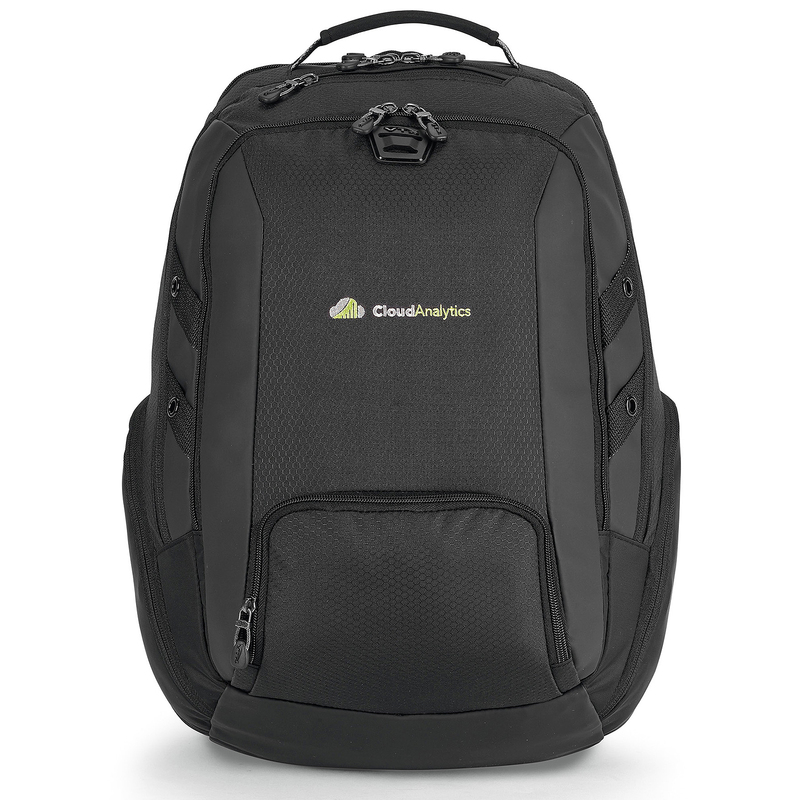 This well-made business backpack combines style and functionality! 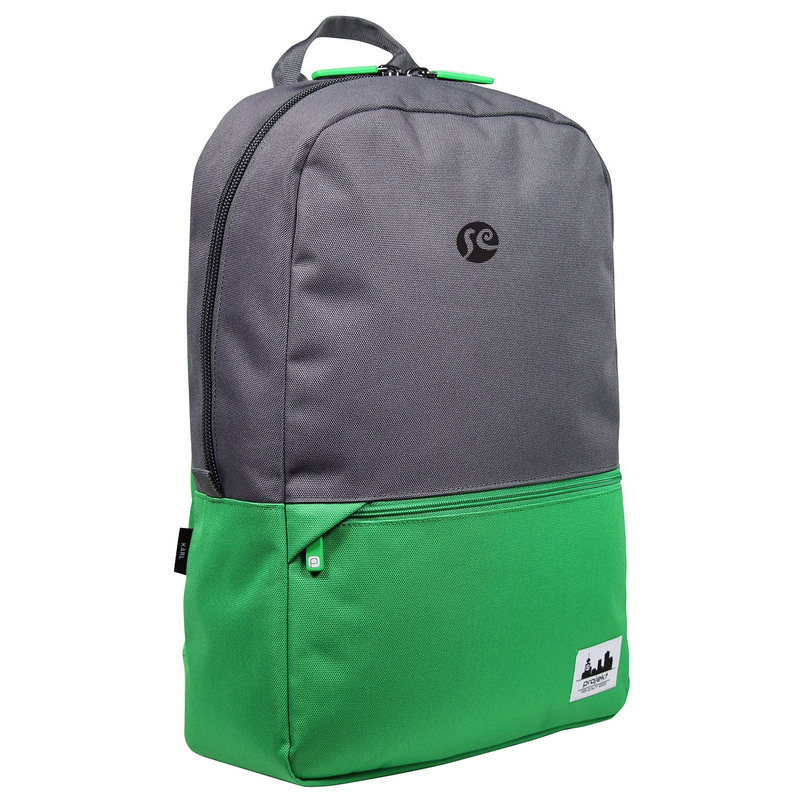 Made from 420 Denier Nylon with a 210 Denier Polyester lining, the Vert backpack features a coloured accent trim, durable nylon zippers and shoulder strap, padded secured pockets for most tablets and 17 inch laptops and a sleek trimmed zippered front pocket. Also has dedicated secure sections.